Chickens farmed for meat (broiler chickens) are made to grow unnaturally fast. This can lead to heart attacks and chronic leg problems from struggling to carry their own weight. 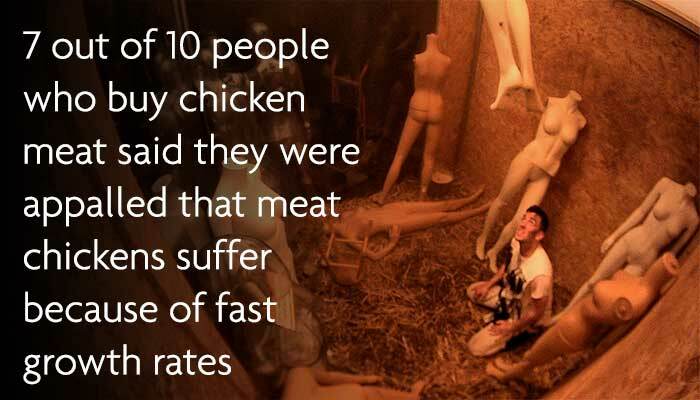 Chickens are intelligent creatures and, like us, have the capacity to feel pain and emotion. The space they have doesn't provide them with enough room to do the things which come naturally to them, like moving about freely and flapping their wings. More and more chickens are killed for food each year, but despite this rapidly growing demand, there has been little progress made in improving the welfare of the majority of chickens bred for their meat. It's time things changed. adopting more humane methods of slaughter. 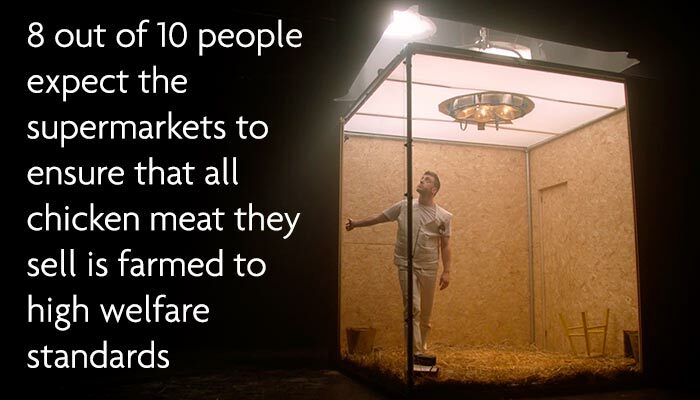 As the majority of people still choose to eat meat, dairy and eggs and the demand for chicken is predicted to rapidly rise, these steps are vital to improving the life of billions of meat chickens. We're calling on Tesco to sign up to The Better Chicken Commitment and need your help. Tesco is the UK's largest retailer and spend on intensive indoor chicken meat is more than Asda and Morrisons combined. A change in policy by Tesco would have the biggest impact on the lives of broiler chickens - over 380 million animals would benefit every year! We, the RSPCA, define intensive farming as a system of farming livestock in which management of the animals hinders the performance of normal behaviours to such an extent that welfare is compromised.